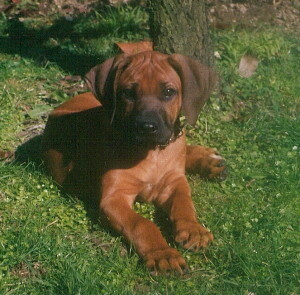 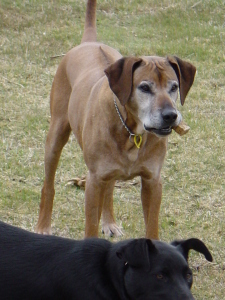 Bronson was our first Ridgeback. 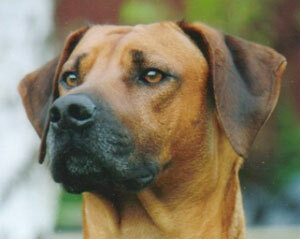 Bred by Rachel Janes of Nambala Rhodesian Ridgebacks, Bronson was a handsome upstanding dog, a wonderful companion and a successful show dog. Bronson's show career started off with a Best Baby Puppy of Group. 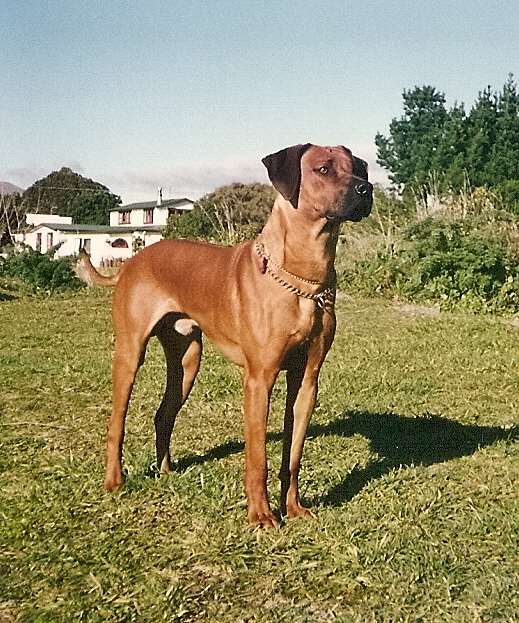 His first major win was Junior in Show awarded by South African Judge Mr Baker at Horowhenua's Allbreed Championship Show. Bronson gained his New Zealand Champsionship Title at just 14 1/2 months old. 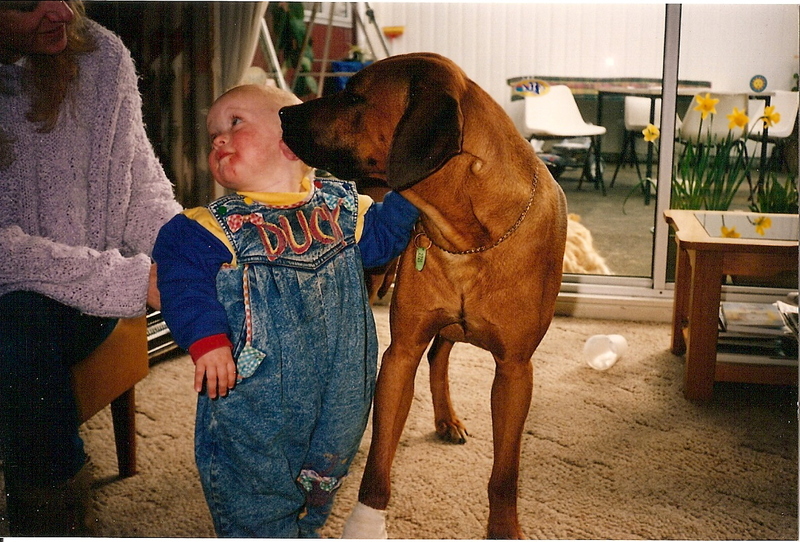 He went on to become only the second (his mum was the first) RR in New Zealand to be awarded a Best in Show Allbreeds and the FIRST New Zealand Bred RR to be awarded that title. Bronson was not only a show dog, but he was also a TV star, being part of the Ridgie-didge Ridgeback Team on Tux WonderDogs.